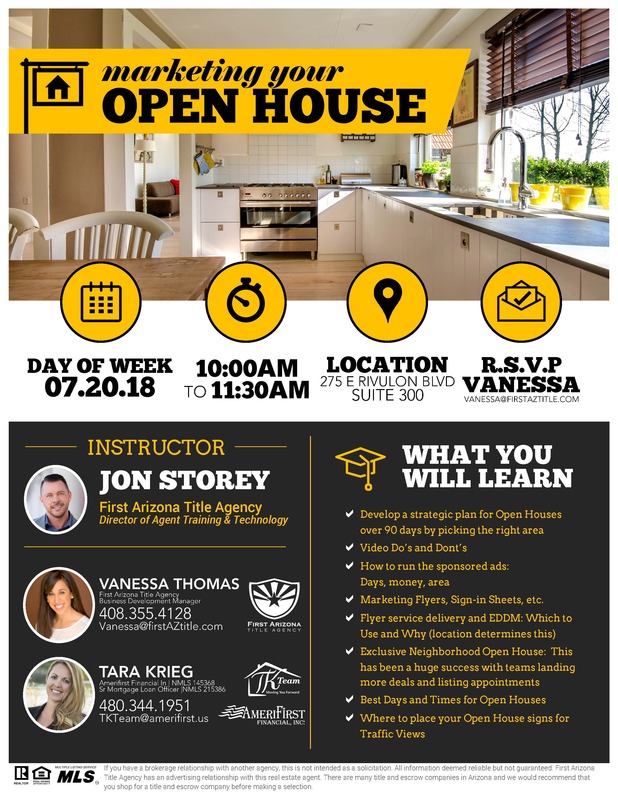 RSVP to Vanessa@firstaztitle.com to reserve your seat. Jon will be covering the best marketing strategies from sponsored ads to best days and times to host open houses. This is one you don’t want to miss!